So you've cleaned the outside, what about the inside? Struggling to remove a really ground in mark on leather or plastic? Use a magic sponge to remove it They really work! Plastic trim fading around windows or bumpers? This is not an exhaustive list of products - but I can assure you that they will look great on any car! So embrace the Internet - you can also pick up lots of bargains too! And of course, good old eBay! I get them now and again. I tend to try and cut them off as close to the seat as possible. Not sure if this is the best course of action but it seems to do the trick. These cleaning posts are great, thank you very much for posting. Just wondering what process to apply to the leather steering wheel on my mlite, is it the same as the seats? Rjbez wrote: These cleaning posts are great, thank you very much for posting. I do have a question though please. I like to use a QD type spay on wax that I can use as I dry the car. Just to keep the wax topped up a bit if possible. I've just bought what's available in Halfords so far. Just finished the second bottle I've bought. Or am I wasting my time doing this? Evening Rob - the problem with some of these 'drying aid' products is that they can actually affect the wax and or sealant they sit over. 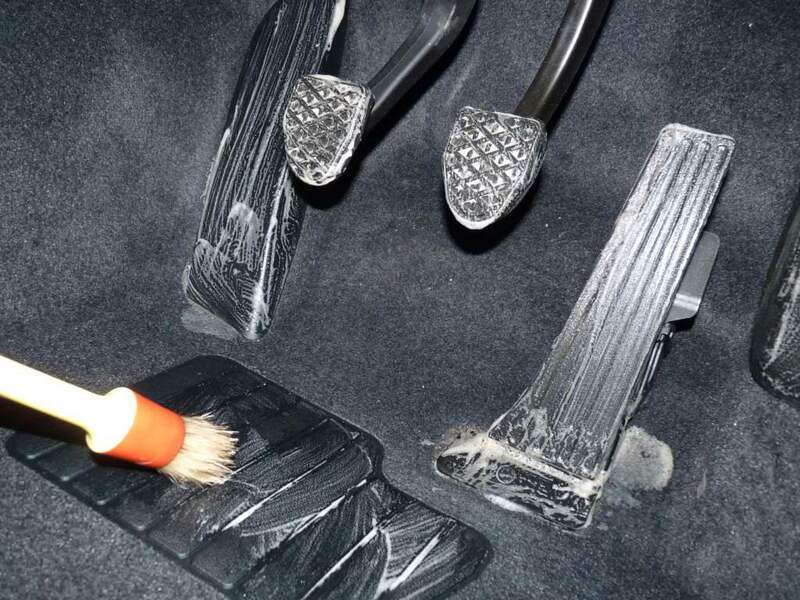 You also have the issue that they have far less ability at dealing with water / dirt than the wax or sealant they sit over. They can be very expensive per application too. Sonax Brilliant Shine Detailer is what I believe would benefit you most. A QD product that wipes on / off so easily, leaves a stunning finish and has great water behaviour. It really is a very, very good product to apply to help maintain a wax protection too. Slight different twist of a product for you is CarPro Hydro. A member on here is using it - you mix it with your hose sprayer, spray it over the car and it forms a sealant barrier over it. Not used it myself but it sounds ok..
That's great James, so I shall shop from some of that Sonax product. It will be going on top of AG HD Wax to attempt to top it up and keep the water beading and stop muck sticking too much. I've been doing the wheels too, for the same reason, with the aim of easier cleaning. On top of poor boys wheel sealer. Yes the Sonax product can be used on wheels etc...and it's very, very good. Smells like PinaColada too ha! Blackroc wrote: Yes the Sonax product can be used on wheels etc...and it's very, very good. I was just off to google it! There's some great advice on this website. I used to do a bit of detailing but was never really interested with the interior so thought I would buy some products. Is autogylm interior shampoo good for all carpets and fabric seats? I have just bought some Dr Leather wipes and autogylm leather cleaner. Will both these products be good to use on the seats? With the Dr Leather wipes, will these be good for the steering wheel, I wouldn't normally touch the wheel. Sumner wrote: There's some great advice on this website. I used to do a bit of detailing but was never really interested with the interior so thought I would buy some products. AG interior shampoo is great for seats, carpets, mats etc.. One of the best AG products they make to be fair. Assuming you haven't bought it yet, look up AutobriteFAB - similar product as the AG one, but is more versatile and can be used on dashes, door cards, interior trim etc..and works VERY well. What leather wipes are the best? E87Gaz wrote: What leather wipes are the best? Personally never had any issues with the leather are wipes you get in supermarkets, however, I appreciate people want a 'branded' product specific for cars, and Dr Leather wipes are a very popular product on the market at the moment.. Thanks for the advice, yeh I have the shampoo already! I must of acquired it from my detailing days, found it searching through all my other stuff. What are the best products for the dash? I normally just use APC diluted down and wiped with a clean cloth. Anything else you would recommend for the interior?